Over many years of running email programmes for retailers it has become apparent that a lot of retailers don’t realise that they need certain features and functionality until they have seen them in action. But as soon as they have used them, they can’t believe they ever managed without them. Like the use of advanced reporting features or the implementation of an basket abandonment programme, some of these capabilities are vital for a retailer’s email marketing strategy. With this in mind, I have created a quick guide for retailers to use when looking for an email marketing platform (ESP). Who hasn’t used their ESP as a simple list management tool, sending the same message to every customer? I have to confess that in the past I too did this, however in order to really get the most from your campaigns you need to start using the data that is available, I’m talking about your customer data. When a customer makes their first purchase, they provide you with a lot of usable data other than just their name and email address. For example, purchase history, which can be stored and built up over time to benefits both parties. Firstly benefiting the customer by enabling you to offer them relevant content, and secondly, benefiting the retailer by reducing the number of unsubscribes and increasing the number of clicks and conversions. To achieve this, look for an ESP that can store unlimited products and purchase history, in an open data format. 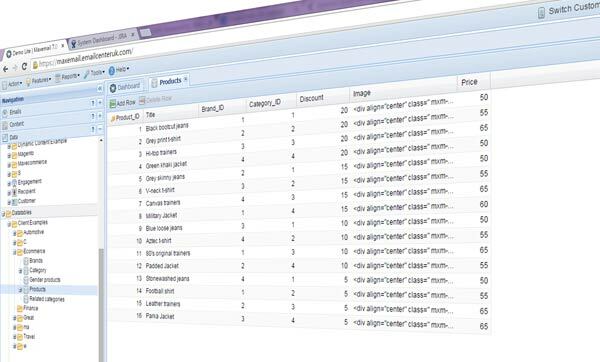 This allows you to have relational email database tables containing data that relates to purchases and purchase history, not just a few fields that just hold the most recent purchase. Using this data you can then offer customers suggested products that may be of interest to the them. For example, if a customer has bought a number of T-Shirts from a specific brand, you could suggest products related to these items. Subscribers are far more likely to engage with your emails if you offer valuable content based upon their purchase history. Combine this with a well-crafted subject line such as “John, you may also like” or “John, people who bought X, also bought this”, and you have the makings for a successful campaign. When you have rich data for each of your customers you need to be able to target specific sections of your database, be that for instance by gender, location, or previous purchase type. To achieve this you will need to discuss your ESP’s segmentation tools. A segmentation tool will provide you with the ability to create an endless number of rules that can be combined for an email campaign, saving a significant amount of time. Watch out when looking at different segmentation tools, as some ESP’s allow you to create complex rules but do not allow you to combine them. This means that you would have to create a complex rule for each of your campaigns, instead of just combining 3 or 4 that you created for previous campaigns. Most retailers who implement a cart recovery campaign will find that it generates considerably higher revenue in comparison to other email campaigns, making this is an important area to speak to your ESP about. Depending on your commerce software, you might be limited to particular ESP’s who service and integrate with these commerce platforms. Examples such as Magento (they have some best practice tips for you) and Shopify have a connect/app store where users can browse through a number of extensions available to them, including shopping cart recovery. Additionally, some ESP’s will be able to create a bespoke solution to connect with your commerce store. It is worth directly speaking with the ESP, possibly put a scenario in front of them and ask how they based they would implement this programme. There are a lot of plug in providers who will send cart recovery emails for you, but this could create issues around controlling and managing subscriptions and will prevent you from being able to effectively test messages to improve your return. 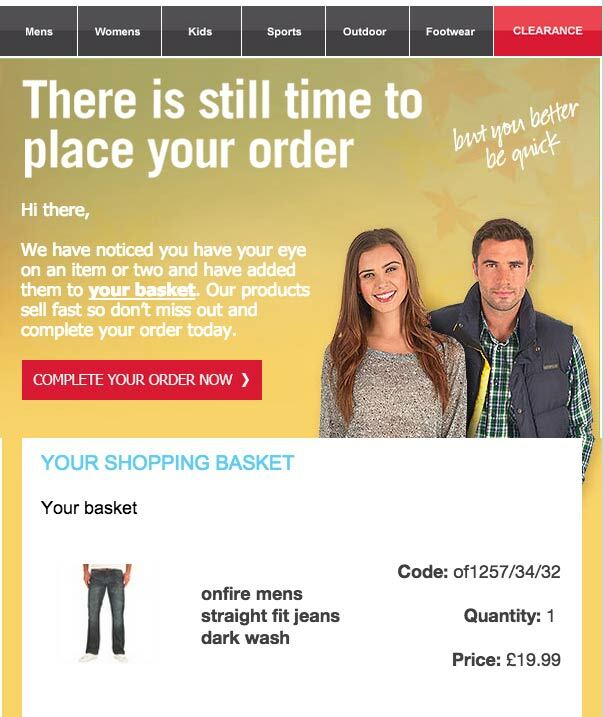 By successfully optimising your retail email programmes you can generate up to 30% of all revenue delivered by email through automated CRM driven campaigns such as welcome emails like this, recovery and re-activation programmes. Implementing these programmes is an easy task for most ESP’s and can be achieved by setting up your desired recurring emails to be sent to your calculated audience. The combination of automatically triggered emails based on lifecycle or customer activity account for £3 of every £10 in email marketing revenue according to the DMA National Client Email Report. The key to success behind a good triggered email is the timing and content. Ensure your content is personal and user friendly, but also make sure that your email is delivered in an appropriate time frame. 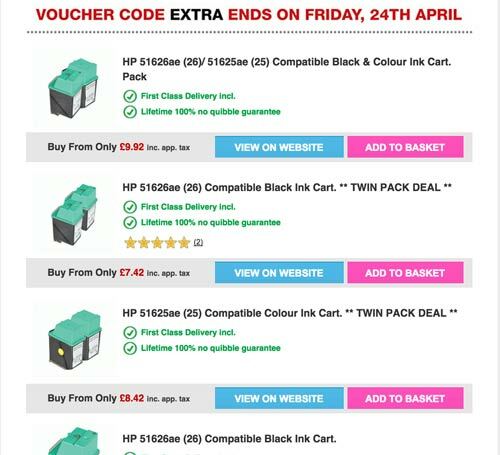 Online retailers have a very powerful tool at their disposal, Discount Vouchers. These can be used in a number of ways: to win back customers through re-activation programmes, reward loyalty and to incentivise prospects. The difficulty of voucher codes is that there is always a danger of them ending up on voucher code websites, making the code available to everyone and steering away from the original use of the code. Check that your ESP can handle unique codes, giving you a one-time use only code for your selected customers. Email marketers have being going on about dynamic content for years, however this usually meant that they had a few variations of content based on a favourite product category or simply just the gender of the customer. Whereas this is a good start, dynamic content doesn’t end there. Clothing retailers will see a better result if their dynamic content is based upon gender, but there are so many more areas that can make the email relevant to the customer, for example, by looking at the types of previously purchased products you can select complementary products to include in their email. Making it work as a recommendation engine. When looking at an ESP check their data capabilities, making sure that they can automatically select the most relevant products based on data you already hold. ESP’s who can only hold a limited number of products, might not suit your business, so make sure this question is asked before you sign any contracts. Not all email marketing reporting functionality is the same, honestly it isn’t. Ok, they all check the same metrics like opens and clicks. But there is more to reporting than just these two elements. The ability to drill down into specific segments is amazingly helpful and not all ESP’s provide it. Overall you might have an open rate of 30%, but average email statistics don’t tell the whole story. By examining segments in detail, you can analyse the true value of each source of data, establishing which sources provide more valuable subscribers than others. This can help you pin point which segments are performing well, and which groups need improving. By breaking down per segment, not only do you identify groups whose performance needs improving, but also the opportunity size. This enables you to decide upon which segments are worth focussing your efforts on, and in what order. Now this tells you far more than the standard overall view. Another method is to tag your emails before you send them, giving you the option to compare a campaign to another one of a similar nature. By having access to more advanced insight reports you will be able to see when list fatigue is setting in and will aid you in future strategic decisions. As you can see, there are some crucial points for retailers to consider when selecting an ESP. The key factor is knowing what you want to do with your email marketing, and with the help of this guide, you can ensure that you have the ability to capitalise on the features and functionality you need by selecting an ESP who have these to offer. ESP selection can be a complex process, involving numerous decisions depending upon your email marketing goals and objectives. However, it’s not a process to be taken lightly, and we all know the vast amount of ESP’s across the globe so it is often worth considering the unknown throughout this process. Mikal heads up the Client Services team of Emailcenter, Northampton. His knowledge and experience of email marketing spans over 15 years working with numerous high profile and blue chip clients from different industries including retail, hospitality, travel, real estate, finance and charity.